CHARLOTTESVILLE – The Charlottesville Symphony at the University of Virginia continues its 44thseason with concerts on Saturday, April 27, 8:00pm, at Old Cabell Hall on the Grounds of the University of Virginia and Sunday, April 28, 3:30pm, at Charlottesville High School’s Martin Luther King, Jr. Performing Arts Center. 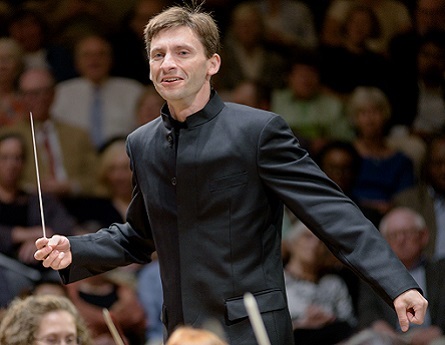 Music Director Benjamin Rous conducts the orchestra in Richard Wagner’s Prelude from “Parsifal,” Robert Schumann’s Piano Concerto in A minor, Judith Shatin’s Piping the Earth and Pines of Rome by Ottorino Respighi. The Prelude to “Parsifal” opens Wagner’s last completed opera which is loosely based on a 13thcentury epic poem of the Arthurian knight Percival and his quest for the Holy Grail. 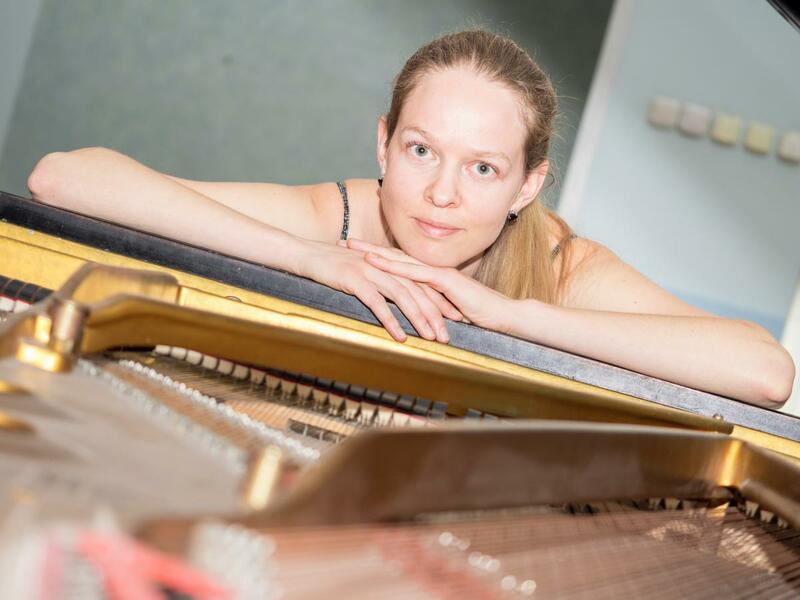 Belarusian-American pianist Alexandra Beliakovich will join the orchestra in Robert Schumann’s sweeping Piano Concerto in A minor. She replaces Jonathan Yates who had to withdraw due to a hand injury. Her recent engagements include concerto performances with the Havana Symphony Orchestra in Cuba and recitals at the 2018 Bar Harbor Music Festival. The orchestra’s performance of Piping the Earth pays tribute to its composer, Judith Shatin. Shatin is the William P. Kenan, Jr. Professor Emerita at the University of Virginia. A recent symposium and concert of her compositions celebrated her contributions in acoustic, electroacoustic and digital media during 39 years on the faculty of the McIntire Department of Music at UVA. Respighi’s Pines of Rome – featuring a large orchestra, bird calls and a sextet of off-stage brass players – is the best known work in his Roman Trilogy, the others being Roman Festival and The Fountains of Rome. The orchestra’s 2018-19 season is supported in part by a major grant from the Joseph and Robert Cornell Memorial Foundation. Vesta Lee Gordon is the sponsor of the April concerts. The April concerts mark the end of the orchestra’s Masterworks Series, but will be followed by Pops at the Paramount: The Harry Potter Concerton Saturday, June 1, 7:30pm at the Paramount Theater on Charlottesville’s Downtown Pedestrian Mall. For those who want to “Know the Score,” pre-concert lectures are presented 45 minutes prior to each Saturday night concert at nearby Minor Hall. Free of charge, these popular lectures by UVA McIntire Department of Music Associate Professor Richard Will offer a lively and informative behind-the-scenes look at each concert’s works. In-depth program notes are posted on the orchestra’s website, www.cvillesymphony.orgtwo weeks prior to each Masterworks concert. Free parking is available in the UVA Central Grounds Parking Garage, located on Emmet Street South on Saturday night and at the Martin Luther King, Jr. Performing Arts Center on Sunday afternoon. The Charlottesville Free Trolley stops at McCormick Road near the UVA Amphitheater, in close proximity to Old Cabell Hall. Both venues are wheelchair accessible. Single tickets are $10-$45 for adults and $10 for students. UVA students may request one complimentary ticket in advance. Single tickets may be purchased at the University of Virginia Arts Box Office, (434) 924-3376, 12:00-5:00pm, Monday through Friday in the lobby of the Drama Building at 109 Culbreth Road, or online at www.artsboxoffice.virginia.edu. All University of Virginia employees (faculty and staff of all UVA departments and professional schools) are entitled to a 20% discount on tickets to individual performances. This offer does not apply to subscriptions, the December Family Holiday concerts, Pops at the Paramountor previously purchased tickets. Holders of Public Broadcasting (WVPT Virginia Public Television and WMRA and WEMC Public Radio) MemberCards are eligible for two-for-one admission on either concert date.